As you celebrate the 4th of July, take a few moments to think about how tea is responsible for the freedom you enjoy every day. 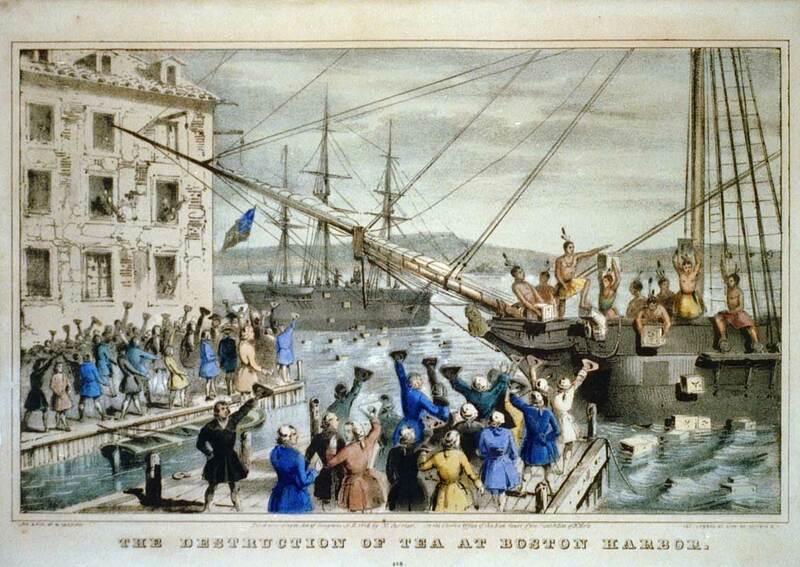 We’re talking of course about The Boston Tea Party, an event that moved the American colonies one giant step toward revolution. The year was 1773. Tea was extremely popular with American colonists. But what wasn’t so popular? Taxation without representation. Both the Stamp Act and the Townshend Act forced Americans to pay taxes to the British government on items such as paper, paint, glass, and tea without any voice in their own government. In 1773, British Parliament passed the Tea Act, which granted the East India Company a monopoly on tea imports to America and reinforced the pre-existing tax on tea. On December 16, 1773, hundreds of colonists dressed in disguise as Mohawk Native Americans and descended on the three ships—the Beaver, Dartmouth, and Eleanor. Dressing as Native Americans had significance beyond disguise: it signaled to the British that they now identified as Americans, not as Brits. In three hours, the protesters dumped 342 chests of tea into the water. Collectively, the chests contained about 90,000 pounds of tea—enough to fill 18.5 million tea bags— and their destruction amounted to a loss of about $1 million in today’s currency. 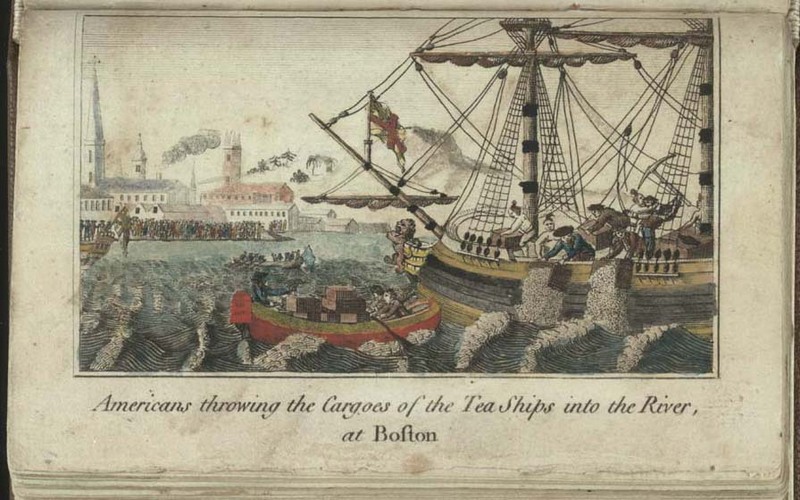 The Sons of Liberty instructed protestors not to destroy anything but the tea. Careful attention must be paid not to damage the ships themselves or to steal any of the tea—that would be off message. When the British government got wind of the demonstration, they were incensed. So incensed that they punished Massachusetts with a series of acts known as The Intolerable Acts in 1774. 1) Boston’s port would remain closed until the East India Company was reimbursed for their losses in the Boston Tea Party. Massachusetts residents reacted to the Intolerable Acts with outrage. But they’re weren’t alone: Other colonies expressed their fury, knowing that they could be next. 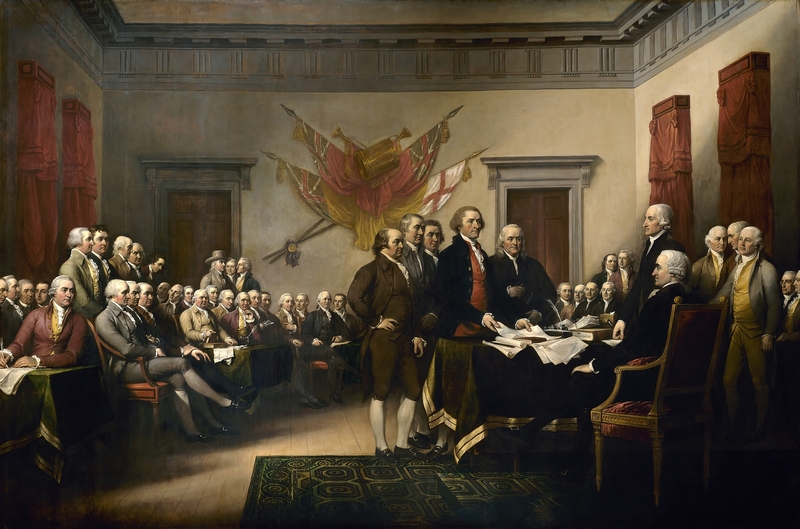 Widespread concern over British control prompted representatives from the colonies to convene the first Continental Congress in early September of 1774. This congress would discuss ways to counter British tyranny, and ultimately declare American independence on July 4, 1776. And over two centuries later, we can trace it all back to tea!